by Parish Web	on January 30, 2018. 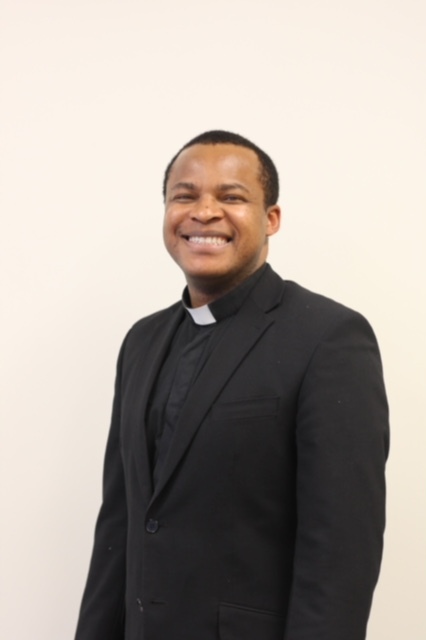 Father Benneth was born in the southern part of Nigeria, and began his studies for the priesthood in Nigeria, then Poland, Italy and Ireland. Father arrived in Australia in 2010 and received formation for the priesthood at Corpus Christi Seminary in Carlton and the Catholic Theological College in Melbourne. He has had pastoral experiences in the Parishes of St Anthony’s, Noble Park, Mary Mackillop in Keilor Downs, St Thomas in North Greensborough, St Monica’s in Moonee Ponds, and has also been involved in the chaplaincy program at the Royal Melbourne Hospital. Fr Benneth was ordained to the priesthood for the Archdiocese of Melbourne on 8th September 2012 (the birthday of our Blessed Lady, Mother of God) by his Grace the most Rev. Denis Hart. His first appointment as a priest was to the Parish of St Monica’s in Moonee Ponds for three years. In January 2015 he was appointed as an Assistant Priest in the parish of St Andrew’s, Werribee, then became an Administrator at St John’s, Frankston from July 2016 to January 2017. He then served at St Raphael’s, West Preston from January 2017 until January 2018 before being appointed to St. Anne’s as Parish Priest. Fr Benneth is delighted to be at St. Anne’s Parish, and grateful to Fr John Madden and all our parishioners for the work accomplished during his last 12 years.